Galloon edged tapestry banding is contrasted beautifully on this off-white fabric. 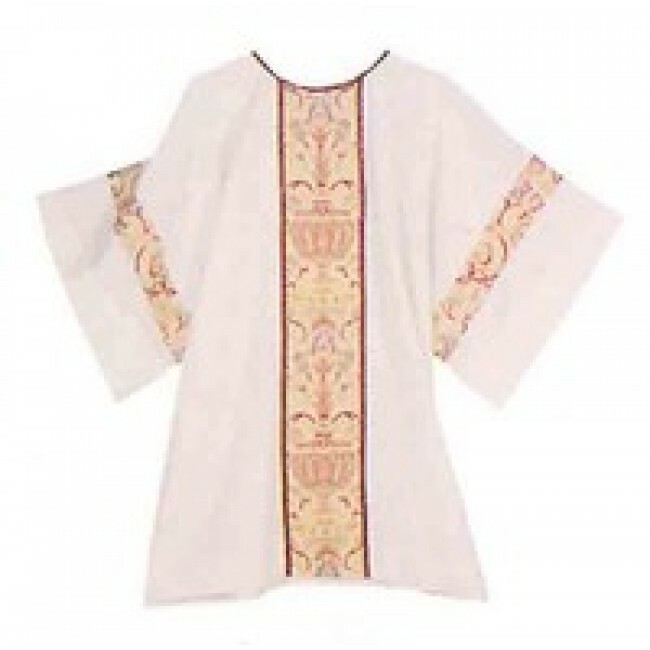 Tapestry runs down front and back of dalmatic and around wide long sleeves. 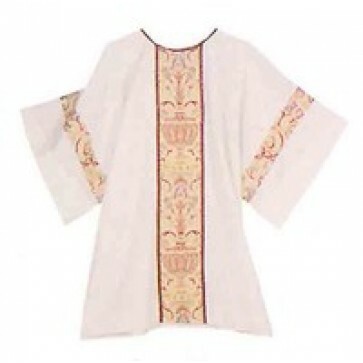 Matching Chasubles, Copes and Veils, Clergy and Deacon Stoles are available. Lined under stole also available.